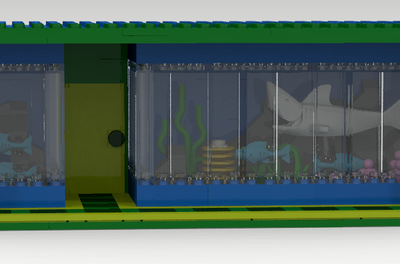 LEGO IDEAS - Product Ideas - Clockwork Aquarium! 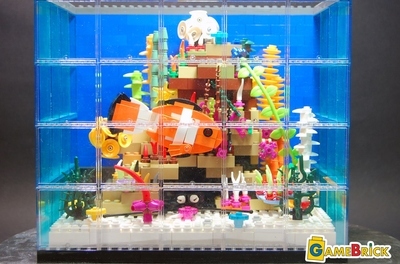 Gaze into an exciting underwater world with this wonder-filled Dynamic Fish Aquarium. Colorful fish swimming around the tank in a large oval! A delightful crab jumping up and down. 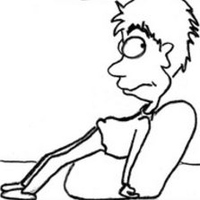 The crab looks to be lurching as it pivots to follow a passerby fish. A starfish that spins whenever a fish swims by. Watch the video here to see it in action! The aquarium rests on a stately cabinet that has elaborate details all around and an ornate topper. The cabinet doors open for easy access to the internal mechanisms and the accessories stored within: fish net, fish food and chemical containers. The aquarium tank is designed to easily be lifted off of the cabinet by using tiles and reduced stud plates. This provides even better access to the internal mechanism. The mechanism is very robust and smooth. It involves a combination of gears, links, and a cam. 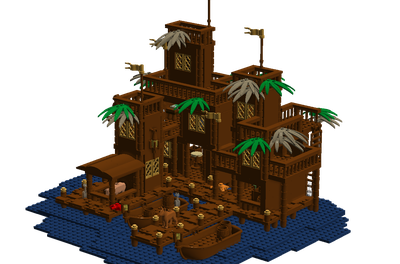 This has been a fun project and I am thrilled with how delightful the little aquarium has turned out. I started out working on the mechanism. I had tried many different methods for creating the movement, and this version of the mechanism proved to be the most robust and smooth. I then moved on to the cabinet and glass work. 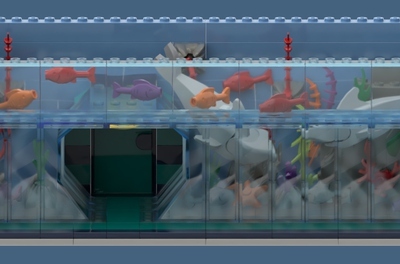 I wish there was a single piece of trans clear that could make up the entire front face of the aquarium, but the current part selection still yielded a nice result. I'll certainly be posting some updates along the way, but as it is, this is a solid, dynamic, and fun model. Thank you for stopping by and thank you for your support!